Mitochondria are dynamic organelles present in all eukaryotic cells. Due to their bacterial origin, they still contain and express their own genome (mitochondrial DNA or mtDNA). Mitochondria are often referred to as the powerhouses of the cell, given their main function of producing ATP. Besides the production of ATP, amino and fatty acids, mitochondria also play a crucial role in regulating developmental, apoptotic and metabolic processes. Importantly they are involved in the normal aging process. Given their contribution to a variety of cellular processes, it is not surprising that dysfunction of this organelle can lead to an array of human pathologies. These mitochondrial disorders are genetically very diverse and are generally divided into two classes. Primary or inherited mitochondrial disorders are either caused by mutations of mitochondrial or nuclear DNA while secondary or acquired disorders manifest from accumulation of mitochondrial damage over time. 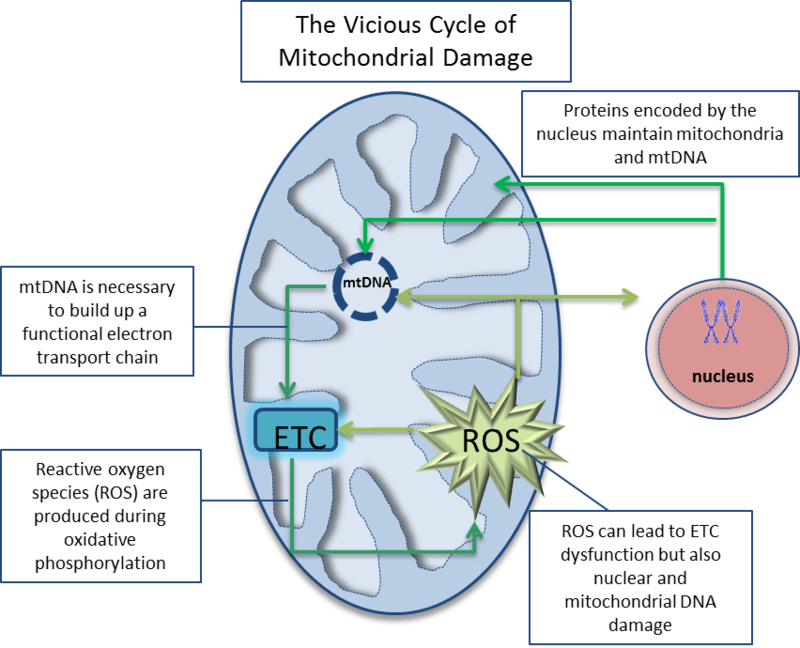 Despite extensive research our knowledge about mitochondrial and especially mtDNA maintenance during aging or in neurodegenerative conditions is still elusive Therefore, learning more about the complex pathways that contribute to mitochondrial maintenance might provide new therapeutic targets to achieve a healthy aging process and to improve pathological conditions.